Every January, after the succession of food holidays from October through December, millions of people who have overindulged the previous year passionately vow to go on a diet. With a plethora of diets available, it should be easy to pick one that helps you meet your weight loss goals. Unfortunately, losing weight is easier than maintaining weight loss for the 66 percent of overweight and obese Americans, according to the Cleveland Clinic. When you need to lose weight, your diet plan should help you develop eating habits that fit a healthy lifestyle and have reliable support from nutrition science. The Atkins diet suggests that you will lose weight by boosting your metabolism with an eating plan that allows unlimited consumption of proteins. It features a daily limit of 60 g of carbohydrates. This diet has no restrictions on fat intake but does not permit alcohol or caffeine. People who follow the diet lose weight because the diet's lack of carbohydrates forces the body to burn body fat or muscle for fuel. 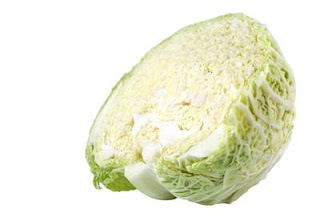 The Cabbage Soup diet requires that you eat copious amounts of a soup that contains cabbage with other vegetables for seven days, followed by two days of unlimited consumption of chicken and fish. If you have not reached your target weight by the end of the diet, you start consuming the cabbage soup again. This diet can produce rapid weight loss, but it contains little protein and carbohydrates. The Mediterranean diet is an eating plan that may help you lose weight, lower blood sugar and reduce your risk of heart disease. It features high-fiber foods, vegetables, low-fat dairy and unsaturated fats, many containing omega 3 fatty acids. It limits proteins from red meats, carbohydrates, eggs, butter and most sweets. This diet includes moderate consumption of alcohol, primarily red wine with dinner. The Weight Watcher's diet uses points assigned according to a formula that combines your current weight, level of activity daily and your age. You do not need to count calories, eliminate carbohydrates or any of your favorite foods, including fats, proteins and empty calories like sugar and alcohol. To reach your targeted weight, your consumption of foods from all food groups must be below the maximum total daily points recommended for you. The Blood Type diet uses a list of foods that correlate to your blood type. It focuses on and eliminates specific foods for each of the four human blood types. Washington University notes that Peter D'Adamo---the diet's creator---bases the food lists for this diet on his theory that blood types arose from humanity's historical development. His research to prove the theory behind this diet concept has no support from any reliable scientific studies or peer reviews. According to this diet plan, blood type A resulted from agrarian lifestyles; this group should eat a vegetarian diet. If your blood type is B, from nomadic societies, fish and red meat are your staples. Hunter-gatherers---type O---also eat meat, butter and fewer carbohydrates. Those in blood type AB should combine the foods from both groups. The book "Eat Right 4 Your Type" provides specific food suggestions for this diet.